✅IMPECCABLE CRAFTSMANSHIP – When you’re looking for a beam that has style and the best craftsmanship on the market; look no further! Each Tumbl Trak Brianna Beam has been carefully designed to provide a high quality, stylish piece of equipment. 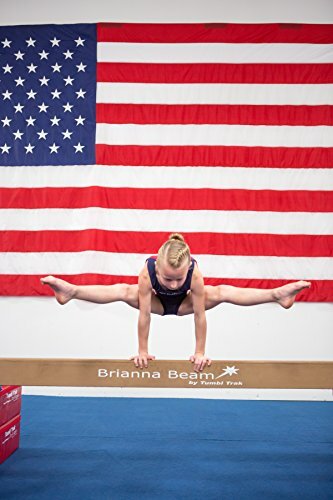 ✅SOLID WOOD CORE – Tumbl Trak Brianna Beams have a solid wood core to ensure stability and security when training. The beam portion is covered in a high quality synthetic suede to give it that competition feel. ✅STYLISH AND STABLE BASE – Each Tumbl Trak Brianna Beam comes with 2 stylish studded and stable base pieces. The beam fits tightly into the bases and is attached with a strong hook and loop velcro to provide additional stability. The Brianna Beam ships in two boxes. All materials meet CSPIA standards. Made in China. Designed in the USA. 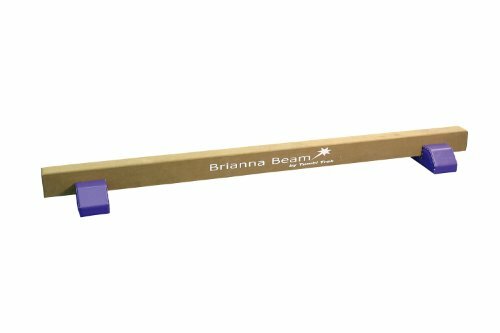 ✅EXTEND YOUR BEAM – Brianna Beams have the ability to be connected together to create a longer surface. The end of the beam has velcro flaps and an opening for a wooden dowel to connect 2 or more beams together! 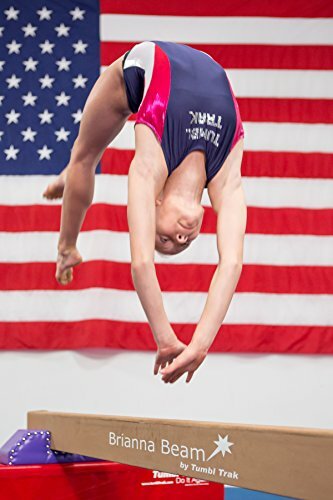 ✅WE KNOW GYMNASTICS – When you purchase a product from Tumbl Trak, you know that you’re getting a TRUE gymnastics product. Coaches, former gymnasts, and industry experts make up the our staff ensuring you get the best product for your athlete.